It was another gorgeous day today and if anything even hotter. Let's just say that it's been a very long time indeed since I last saw the car thermometer read thirty Celsius! Common sense said head to the coast and who were we to disagree. Under a clear blue sky Swansea Bay looked almost tropical but no amount of sunshine will ever be able to disguise the decrepit state of Mumbles Pier. That it has finally closed for refurbishment therefore is bitter-sweet. 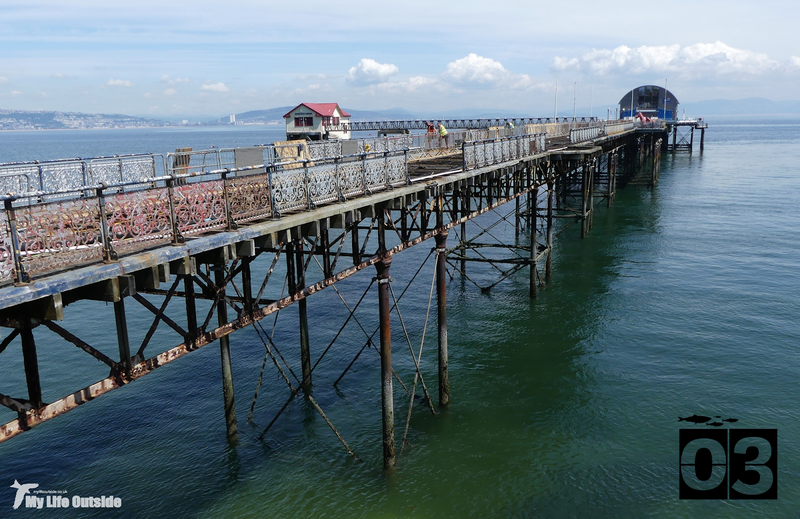 On the one hand I'm delighted that this iconic structure is finally getting the attention it deserves but on the other I'm now unable to get out and see the Kittiwake colony there at close quarters. 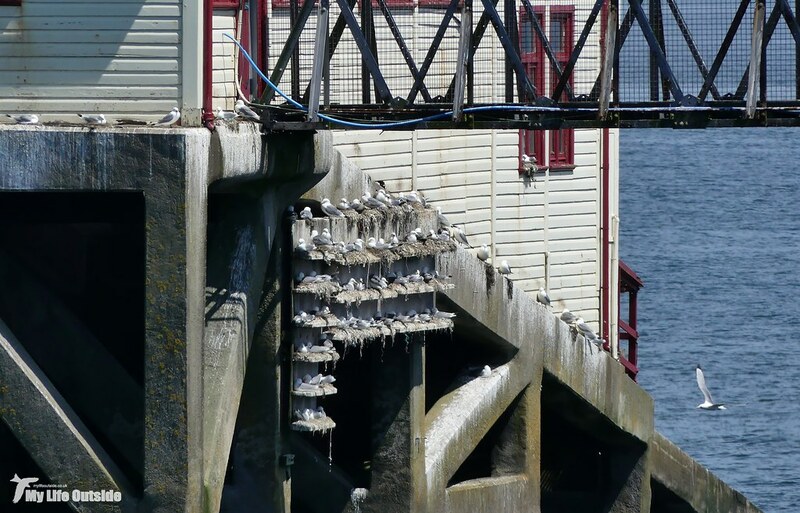 And that's a real shame as this year has again seen good numbers of birds return with every nesting ledge packed and their raucous calls easily heard drifting out across the water. After a tasty lunch of fish and chips it was over to Bracelet Bay where the Mediterranean Gulls have done a bunk though on a day as busy as this, who can blame them. Instead we watched the Kittiwakes flying over from the pier to feed before returning, crops full, all the while listening to an assortment of Chiffchaffs and Whitethroats from behind. I've rarely seen the sea so calm here and it really was a wrench to tear ourselves away. With three days of the challenge now complete I'm already slipping back into the process of explore, photograph, edit and write and you know what? I'm thoroughly enjoying myself. Of course things will get a whole lot harder from tomorrow as we delve into the working week but I'm still determined to eke out those wild moments whenever I can. Hello! It looks like your based in the same area as me, I'll definitely be keeping an eye on your blog for ideas of places to go and things to see. 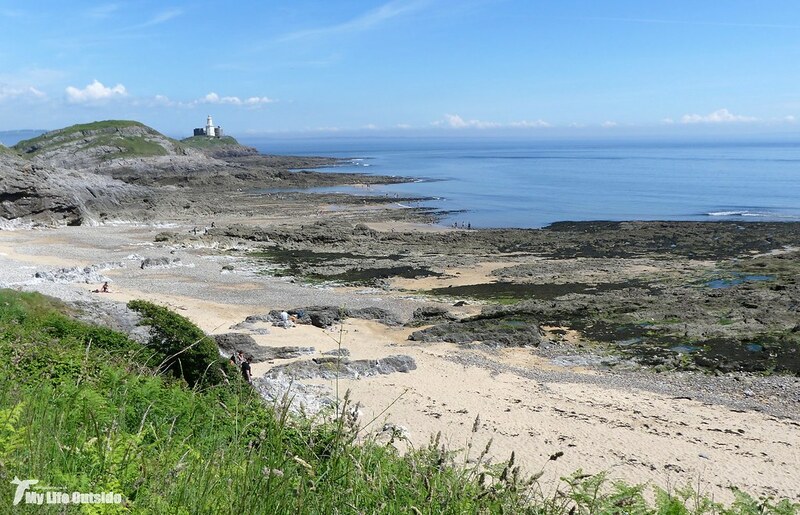 Your photos are lovely, I love Mumbles and the Gower - I've just been doing the Gower Walking Festival which took me to a few new spots. I've never heard of the 30 Days Wild challenge, I'll have to remember to give it a go next year. How have you found it?